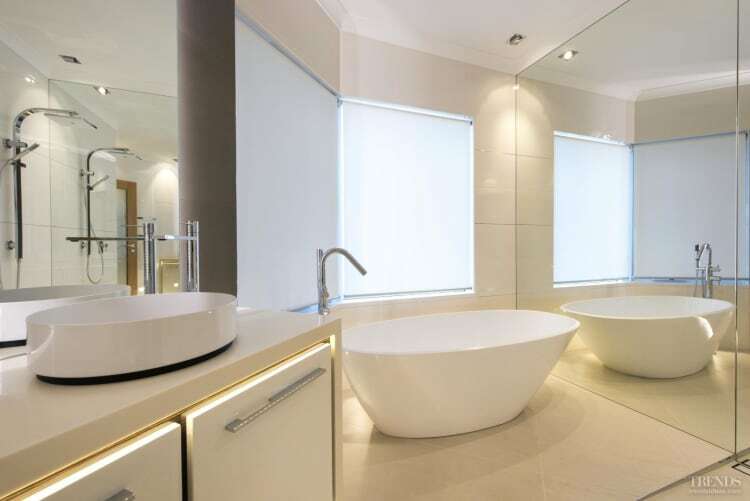 There are often two sides to a complete bathroom renovation – the physical graft, such as reconciling the floor levels and services, and then the more visible aspects that create the ambience. And designer David Ellwood had both of these to address in full measure when it came to creating this airy bathing space. With the existing, dated spa tub pulled out and steps removed from the shower area, the floors were substantially reworked. "In terms of the new look, the owners wanted a contemporary, spa-like space with a freestanding bath, a floor-mounted filler, a completely open shower, and a feeling of increased space," says Ellwood. In response, the designer introduced a mirror wall to one side on the bathroom and large-format mirrors above the vanity opposite. The new, open shower has a sloping floor – another labour-intensive element – and a stainless steel strip drain. 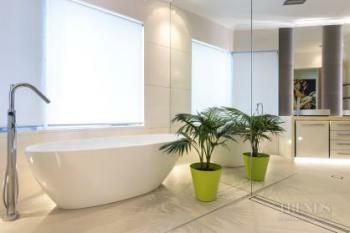 The clean-lined vanity, circular basins, large-format wall and floor tiles, and freestanding tub all add to the feel required. 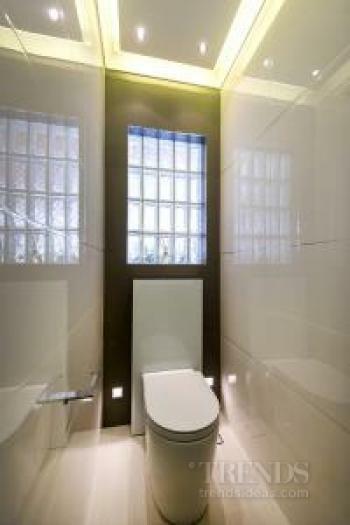 However, as in the saying ‘fancy lights and mirrors', it's the bathroom's almost magical, multi-source indirect lighting that really lets the space come into its own. 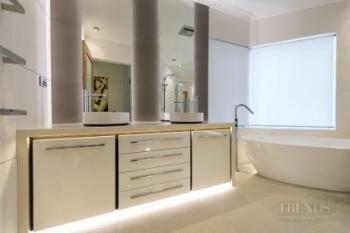 There are LED strips running under the benchtop and toekick, and the raised wall mirrors are backlit too. 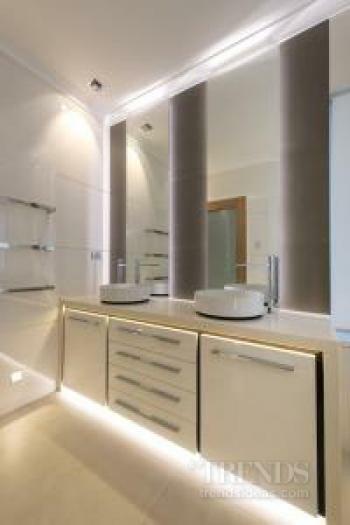 Plus the entire vanity is underlit and there are seven tiny wall-washing lights set into the wall tiles. These lights plus the spot lights overhead all run on five individual circuits so that every lighting scenario is possible. To add to the sparkle, chrome inserts feature between every second tile row.